“As per the resolutions passed in the meeting. The Producers Council will render support only to the theaters that released the film ‘Theri’ in ‘Chengalpet, Thiruvallur and Kancheepraum areas. “Reacting to this. 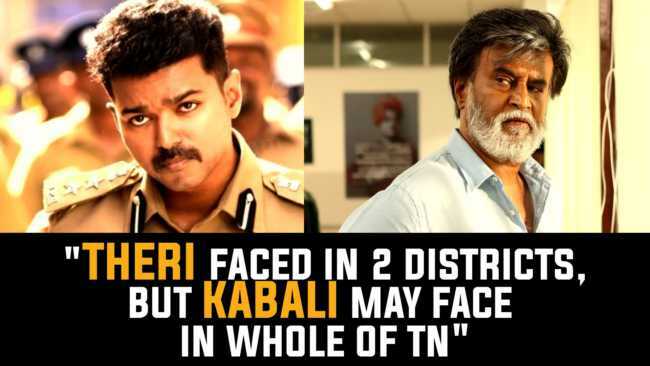 Pannerselvam, the Secretary of Tamil Nadu Theater Owners Association has said that if the Producers Council boycotts the theaters that refused to screen ‘Theri’ the theater owners across Tamil Nadu will boycott Thanu’s next film ‘Kabali’. He also said ‘Kabali’ hero, Superstar Rajinikanth should intervene and facilitate an amicable solution. And even Kannapan directly said in a meeting that “Kabali will not be released in Tamilnadu”.